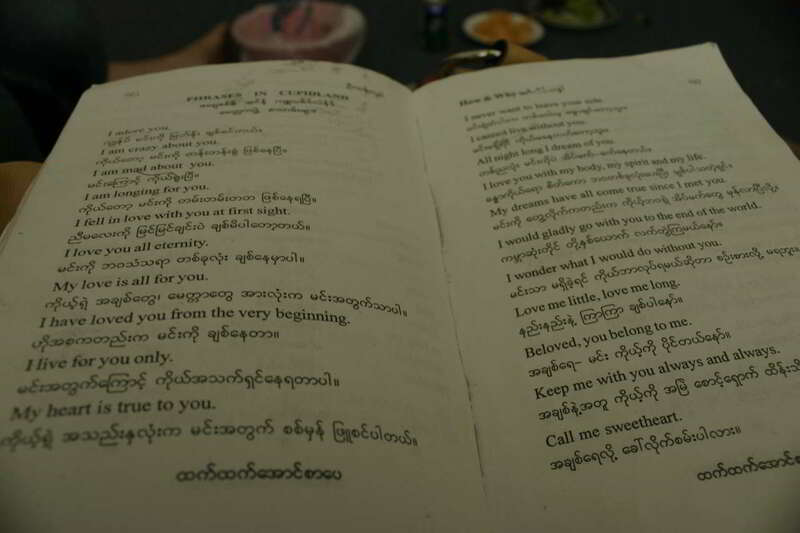 Learn Burmese Better. Take Burmese Classes and Courses With Myanmar Teachers in Yangon at a Dedicated Myanmar Language Centre. Accurate English>Burmese translation with fast turnaround. Dr. Moe Chit has extensive experience in providing high-quality, accurate translation of documents between English and Burmese. Professionalism guaranteed. Dr. Moe will translate the message and essence of the document, not just the literal words. Contact Dr Moe today with more details about your translation requirements. 💥Watch with HD for better quality. ✅Subscribe to our Youtube channel for more lessons. https://youtu.be/NCkcEBPgUos 📖Learn some handy Burmese phrases with Moe Myanmar! Teacher: Moe Chit Student: Lucy Contact us for lesson - 📩Email: moe@moemyanmar.com 📞Phone: 09- 4316 8422 📍Location: Moe Myanmar Language Centre No 436, 3rd floor, Thein Phyu Road, Mingalar Taung Nyunt Township, Yangon. Intensive Burmese Course for Beginners (Morning Session) This is also called "Survival course", as you'll find yourself being able to communicate on survival day to day conversation in Burmese language after finishing the course. Please check out our website www.moemyanmar.com ----------------------------------------------------------------- Start Date – 6th May End Date – 17th May Time – 9:30-11:30 am Day - Monday to Friday Frequency -5 days per week Duration – 10 days (2 weeks) Total Hours –20 hours Tuition Fees – USD 300 (please bring good condition of $100 bill/note)that means we don't accept small note ------------------------------------------------------------ Phone: 09-4316 8422 Location: Moe Myanmar Language Centre No-436, 3rd floor, Thein Phyu Road, Mingalar Taung Nyunt tsp. Yangon. ------------------------------------------------------- Kindly contact for registration and reservation in advance!